Fire, flood, collapse, toxic atmospheric contaminants, and dust or gas explosion are the most critical hazards specifically linked to underground mining. Blasting related hazards must also be added to that list. Although not specific to underground operations, their consequences may be exacerbated by the confined atmosphere and the workplace configuration. 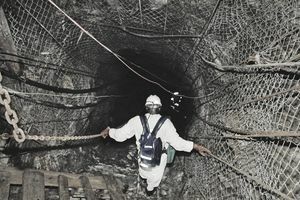 Here are five hazards related to underground mines. Fires and explosions have been some of the most destructive and dangerous hazards in the mining industry. It is also one of the most challenging safety issues that miners face. They can occur at any time, whether that's in an active or abandoned facility. Friction from defective bearings such as conveyor idlers, drums and wheels/axles,; conveyor belts rubbing against some fixed object, such as a roadway support or a tail end structure, or running in spillage; and seized brakes on vehicles. Internal combustion engines, including exhaust systems, air inlets, hot surfaces. Spontaneous heating of coal in the waste or of broken coal in the roadside in high-risk seams. Electrical and mechanical machinery and equipment, electrical sparking and hot surfaces from electrical equipment and distribution systems. Explosives and detonators, compression of air or gasses, and hot work such as burning, welding, and grinding. Smokers’ materials, e.g. cigarettes, lighters and matches. Some of fires can be so devastating that they can ruin entire towns. The town of Centralia, Pa., was evacuated because of a coal mine fire that began in 1962 and has since been burning. The exact cause of the fire has never been determined. The Gleision Colliery mining accident took place on Sept. 15, 2011, when seven miners intentionally detonated an explosive. Following the blast, the mine began filling with water. Three of the miners managed to escape. But rescue workers were not able to save the other four, who were trapped and died underground. After the inrush at Gleision Colliery, the Health and Safety Executive (HSE) in the United Kingdom issued the HID 4-2011 safety bulletin focusing on Regulations 1979 (Precautions Against Inrushes). This regulation was introduced in 1973 after the Lofthouse Colliery accident, Yorkshire, where seven miners were killed after the mine flooded. Induced Seismicity: Mines located in seismically active regions, such as the Andean region — also known to be one of the wealthiest metallic mining zones in the world — are particularly at risk. Especially dangerous in underground mining areas, mine-induced seismicity also causes slope instability in surface mining. Use of Explosives: The use of explosives may cause earthquake-like events that collapse mine workings, and traps miners, as happened to the 33 miners stuck underground from August to October 2010 in a Chilean mine near the city of Copiapo, or kill them, flood the mine and damage structures on the surface. Dust or Gasses Explosion: Explosions from gasses such as methane and coal dust have caused some of the largest mining disasters. They have led to miners being trapped or killed. Layers of coal trap methane — a highly explosive gas. Methane can be released, leading to coal dust explosions when there are mechanical errors from tools that are improperly used or that malfunction. When explosives are also detonated intentionally, they can also lead to coal dust explosions. One of the world's worst coal mining accidents took place at the Benxihu Colliery in Benxi, China. In April 1962, a fire broke out after gas and coal dust exploded. More than 1,500 miners died in the accident. Timbering / Pillar Failure: Accidents in mines can be presented by properly securing areas in which miners work with pillars and timbers. These timbers support the roof or a tunnel's face during the excavation or lining process. If these are not properly secured, they may lead to collapse. You can get an idea about the traditional way to timber a mine by reviewing this video. The role of pillars or timbers is obviously key in underground operations. The instability of pillars induced by stress or other unfavorable causes may lead to horrendous cascading pillar failure mechanisms. Considering the atmosphere underground is limited and confined, the contaminants may include dust, aerosols, diesel fumes and particulates and fumes from blasting, as well as gasses released from the rock strata. Ventilation is key to extract or dilute to a harmless level the toxic contaminants. Mine-induced seismicity is also another hazard. According to the National Institute for Occupational Safety and Health (NIOSH), many fatalities in underground mines related to explosives were caused by miners being too close to the blast. Fly-Rocks: Workers struck by rocks, either because they are too close to the blast or because the rock is thrown much farther than expected, remains one of the main causes of accidents both in surface or underground mines. Explosives Fumes: According to the Dangers of Toxic Fumes from Blasting, surface mine blasters are far more complacent about fumes as those in underground mines. This is because there is a general belief that the open air would cause the fumes to disperse. But toxic fumes can be hazardous regardless of where they occur. The explosive products used in surface and underground blasting operations produce a variable quantity of toxic gasses. Harmful concentrations of such gasses are more likely to appear in underground confined environments. An efficient, well designed and maintained ventilation system is key to preventing or mitigate this risk. Premature Blast: This can be due to carelessness or be accidental. Faulty wiring and fuses can also be the cause. The explosive or pyrotechnical products that remain on the ground or in the muck pile might be triggered by any mechanical effect during the digging, milling or crushing stages of the mining process, causing injuries or fatalities to blasters or operators. Although policies and safety measures continue to be updated to ensure disasters do not take place in mines around the world, there are still precautions the industry can take to ensure hazards are minimized and workers are kept safe.